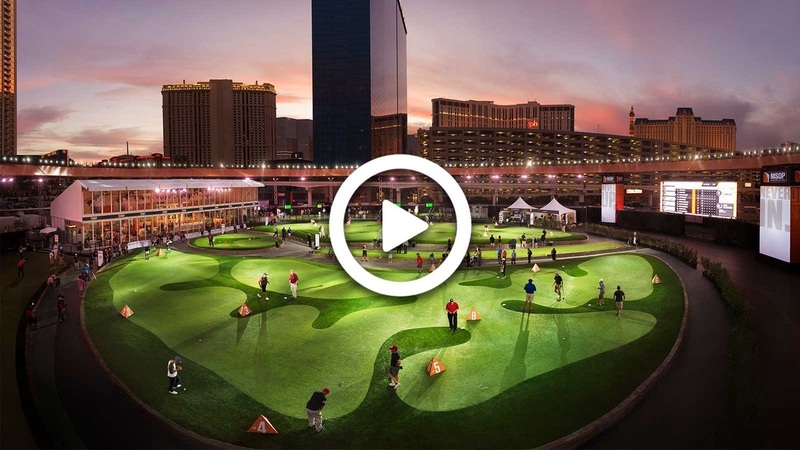 LAS VEGAS, NV (April 12, 2018) � Major Series of Putting (MSOP) today announced the return of the ultimate Vegas golf experience � the MSOP Championships � where winners take more. After a successful debut last October, the 2018 Championships will once again offer participants the chance to win pro-style cash purses, serving up a minimum of five events over the course of eight days (October 24�31, 2018) under the bright lights of the Las Vegas strip. "We are thrilled to be back," said President & General Manager Guillaume B�land. "Today, we announce the starting point of the 2018 Major Series of Putting. This is just the beginning of what we have in store for this year." MSOP sanctions the ultimate Vegas golf experience with hundreds of thousands of dollars in total prize money. Participants from around the world will have the opportunity to test their skills and composure as they compete over several days in a high-stakes environment, steps away from the strip. In October 2017, 1,000 participants competed over 10 days in the inaugural MSOP Championships. Everyday competitors from around the world were able to stand and battle shoulder to shoulder (and take home some winnings!) with mini putt global competitors such as the Swede Ricard Lockner, celebrities such as Daniel Negreanu, Mardy Fish, Josh Beckett, and notable golf icons such as Brad Faxon, John Cook, and Tommy Armour III. "Last year's championships proved to be the ultimate level playing field," said Brad Faxon, 35-year PGA TOUR veteran and three-time statistical putting leader. "Professional golf today is a game of distance and power. MSOP is unique in that it brings together people from all walks of life and creates the opportunity for everyone to compete at a pro-level in a Vegas-style, high-stakes competition." Responding to the demand across the country, MSOP will launch the MSOP Tour this year as a qualifier system to the Championships, creating a play-your-way to Vegas pathway across the country. With plans for the MSOP Tour to enter eight markets, with more likely to be added, each market will provide up to 25 local events that lead to a regional final, where eight spots to the MSOP Championships are up for grabs. On April 18, 2018, MSOP will officially open registration with a special offer. Stay tuned for more information! To gain access to the special offer, or find a Tour event near you, visit MSOP.com. Major Series of Putting (MSOP) intends to entertain, challenge and thrill people with the simplest and most important golf element � putting. To achieve such, MSOP sanctions the ultimate Vegas golf experience with hundreds of thousands of dollars in total prize money. Participants from around the world will have the opportunity to test their skills first at the local and regional levels, before competing in the MSOP Championships on the strip in Las Vegas. Participants' skill and composure will be tested as they compete over several days in a high-stakes environment. This stimulating competition is open to all as qualifying events will be held around North America in collaboration with local golf courses. MSOP, a subsidiary of Lune Rouge Innovation, is venture-backed and funded by Lune Rouge � the private equity company of Guy Lalibert�, founder of Cirque du Soleil, � which focuses on high potential companies, mainly in the entertainment and technology industries. For more information, visit MSOP.com.